– 42-Point Quality Assurance Inspection. – Free CARFAX® Vehicle History Report™. – Standard New-Car Financing Rates Available. – Trouble-free handling of your transaction, including DMV paper work. – All important information clearly spelled out in your contract. If you’re looking for a dealership that can provide a great certification on their pre-owned vehicles, you’ve come to the right place. At Doral Toyota, we’re happy to help drivers in the Doral, Kendall, Hialeah, and Miami areas get a great warranty they can feel confident about. Read more to learn about our great pre-owned inventory and our available warranty with our certified pre-owned models. When you buy a Doral Certified pre-owned vehicle, you aren’t just buying a vehicle, you’re buying comprehensive features that’ll make your car buying experience great. We offer an available 7-year/100,000-mile limited powertrain warranty with our models, so you can drive with confidence. Our dealership will also perform a 160-point quality assurance inspection, so you can be sure every part of your vehicle is in good shape. We’ll even give you a free CARFAX® Vehicle History Report™, so you know what to expect from your car. Our certified pre-owned vehicles are reconditioned to factory standards by factory-trained technicians, so they are ready to hit the road feeling like new. You’ll be able to really enjoy our vehciles with the quality assurance they’ve been put through. And buying one of our certified pre-owned vehicles is easy with our trade-in program and available standard new car financing rates. We’ll even handle the finer details of your transaction including the legal paperwork. At our dealership, we aim to provide a large selection of certified pre-owned vehicles to choose from. Our certified pre-owned vehicles are lightly used vehicles that are new enough to still hold a warranty. By purchasing one of our certified pre-owned cars, you can get a vehicle that’s priced like a used car with the warranty of a new car. Are you looking for a compact car that’s great for drivers looking to navigate tight city streets? Look to our Toyota Corolla models for a fuel-efficient sedan that’s great for any commuter. And if you’re looking for a powerful and spacious vehicle designed for your next road trip adventure, check out our RAV4 models. The RAV4 is a great SUV for drivers looking to save some gas while they travel to their camping spot. We aim to offer a smooth car buying process for our customers by providing a helpful and smart financing team willing to guide you every step of the way. 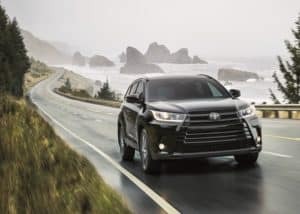 At our dealership, we want to make it easy to get approved for an auto loan, so you can get behind the wheel of your certified pre-owned Toyota with ease. Our Toyota finance department also provides finance specials to make sure you always get the best deal on your vehicle. If you’re interested in our available finance specials, explore our website and get pre-approved for an auto loan today. We are excited to be able to provide our customers with the Toyota Certified Program. 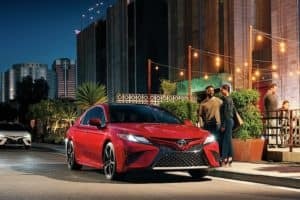 At Doral Toyota, we want to provide drivers in the Doral, Kendall, Hialeah, and Miami areas an opportunity to get ahold of a great certified vehicle. If you’re interested in experiencing a certified pre-owned car, schedule a test drive with us online or over the phone today!